Wow it's snowing again!!! Another perfectly Christmasy scene on the streets of Chicago today. I was down by Water Tower earlier today (dropping off my new Christmas single at WLUW fm... which will be featured on Friday at 2pm), and I was swept up by a torrent of thousands of happy last-minute shoppers, surely filling their bags with gifts to be shared with family, friends, colleagues and neighbors on Friday, Christmas day. Admittedly, I'm not the most devoutly religious person you'll meet, but it's hard for anyone this time of year to ignore these clear examples of what the holiday season means: Goodwill toward men... love thy neighbor... charity. These are the same values that appear in holiday carols, TV cartoons, and greeting cards everywhere this month. And like I said yesterday, it's just too easy to draw connections between the Christian virtues promoted by the Christmas season, and Tutor/Mentor Connection support for student learning and growth in high-poverty neighborhoods. 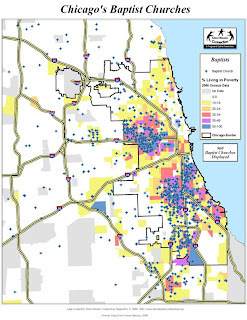 Please consider a charitable Christmas donation to Tutor/Mentor Connection or Mapping For Justice, to help us continue working for at-risk youth in neighboring communities throughout Chicagoland. Like yesterday, today I am featuring maps that show the locations of Christian churches, categorized by denomination, in relationship to areas of high poverty and the highways that Christians use to go in, out and through the city every day. 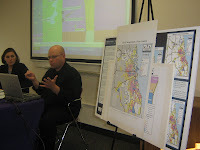 The maps yesterday showed denominations (Epicopal, Lutheran, Methodist, and Presbyterian) whose congregations are more likely to meet in areas of relative affluence, and showed how they can work together to generate needed charity for their "neighbors" living in the area's high-poverty communities. Today I am showing locations of denominations (Baptist, Catholic, and "general" Christian churches) whose membership is more likely (although not exclusively) found IN the high-poverty neighborhoods themselves. Leaders and members in these locations can ally to draw volunteers and dollars to programs that quite literally help love thy neighbors and their kids. When we show these locations, we are NOT suggesting that people in faith communities are not already very generous in the way they help the poor. We know that these organizations are already involved. What we try to do is use maps to help build some kind of understanding of where organizations are having an impact on tutoring/mentoring programs, and where existing programs (that need as many faith partners as possible) are located. Furthermore, our aim is to help build strategies that make sense of a complex problem for community leaders... and hopefully one day lead to new alliances among faith groups on behalf of tutor/mentor programs for at-risk students. Because I think you might conclude when looking at our maps that, while many people are already working to help bridge gaps in support structures needed for kids in impoverished neighborhoods to have a shot at meaningful careers and futures... there is a lot of work needed. Faith groups that are already hard at work and generous just might be perfect leaders for new multiple-congregation alliances that promote and support new and existing programs. Interested in where to start? Please look at one of Tutor/Mentor Institute's several strategy documents (accumulated from over 30 years of working knowledge) called, "How Faith Communities Can Lead Volunteer Mobilization For Tutor/Mentor Programs." And then contact us to discuss ways we can work together. Merry Christmas, Christians! Love Thy Neighbor! That was too easy :) Now again, I don't pretend to be a spiritual leader. But it's just too easy to see connections between Christian virtues and Tutor/Mentor Connection support for student learning and growth in high-poverty neighborhoods. 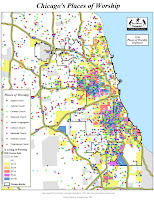 And please expand these maps to see locations of Episcopal, Lutheran, Methodist, and Presbyterian churches in the Chicago Area. I chose these denominations today because these churches tend to be concentrated in areas of affluence, relative to high poverty. In other words, members are "neighbors" to poverty. The maps show highways that usher members of these faith groups from areas of relative wealth, straight through pockets of neighboring poverty on their commutes in and out of downtown. Opportunities abound for potential volunteers and donors. As Dan wrote yesterday in response to my last blog post, "Every dot on this map represents a faith based organization. Some are in high poverty areas where tutor/mentor programs are most needed. Others are in middle class neighborhoods where people may be struggling to keep jobs and pay mortgages and deal with their own family health. Others are in areas of high affluence, where there may be more ability to give. In all of these communities we hope that groups are forming and reading [Mapping For Justice] blog articles... If you read and reflect on what we write each week, each of these dots will begin to have strategies that connect them to tutor/mentor programs in one, or more parts of the city, as well as to people in other faith groups who are discussing the same issues. Let us know if we can help your congregation form such groups." If more faith leaders and members can start to look at high poverty neighborhoods through a Christian lens of "neighbor," perhaps the students in these forgotten and underserved areas will one day EACH gain exposure to mentors and tutors (you!) needed to help them overcome special poverty-related challenges they face, and EACH become productive participants in society and the economy. Spiritual leadership can take the lead of course, using scripture to justify alliances with other congregations... and to mobilize the flock, on behalf of the Christian virtues of Charity and Love, to help neighboring students in need. Interested in where to start? Please look at one of Tutor/Mentor Institute's several strategy documents (accumulated from over 30 years of working knowledge) called, "How Faith Communities Can Lead Volunteer Mobilization For Tutor/Mentor Programs".And then contact us to discuss ways we can work together. Christmas Week! Help Us Spread Charity, Kindness, and Love! Last week our Jewish friends celebrated Hannukah. This week, the holiday season rolls into Christmas. Now I am not a spiritual leader by any means, but it's hard to not see that a common message shared by the holiday spirit of Hanukkah and Christmas, is that people of faith are encouraged to give as well as receive. Charity, kindness, and love for neighbors is a shared set of values, I think we would all agree. It's also hard to open the New Testament and not stumble onto reference to these virtues. Corinthians 13 for instance teaches Christians that "And now faith, hope, and charity abide, these three; and the greatest of these is charity." And please check back here this week for specific ways you and spiritual leaders in your faith community can ally with Tutor/Mentor Connection to support more and better non-school mentor programs in high-poverty neighborhoods. Many blessings, and much peace and good fortune to people of Jewish faith in our community. Happy Hanukkah! 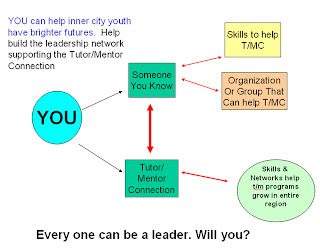 We here at Tutor/Mentor Connection are actively looking to ally with spiritual leadership in the community to support more and better non-school mentor programs in high-poverty neighborhoods. Of course, we respect that the Tzedakah money traditionally offered as charity this time of year must be distributed wisely, and thus we would be honored to have our organization and its poverty-fighting and community-building work considered for any Tzedakah gift. Please read on and decide if our work is worthy of Tzedakah giving. A look at the map we made above shows the locations of the 101 Jewish congregations we have in our database (please let us know if yours doesn't seem to be here!). Progressively darker shades of reds and blues represent increasing pockets of high poverty in the area. See, leaders at these locations have the power to increase the reach, frequency and consistency of tutoring/mentoring programs for the poor... ultimately helping thousands of kids make better decisions and find success in life, in spite of high concentrations of poorly-performing schools in high-poverty areas. It is our hope that our work contributes to safer communities and stronger economies for all in the future. 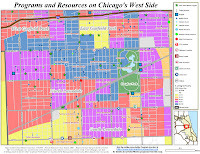 Looking at the map again, Jewish congregations are typically located in more affluent communities, and many are clustered near I-94 (a major artery leading into high-poverty communities throughout Chicago)... and thus are in as strong a position as anyone to take leadership roles that point volunteers, donors, and attention to tutor/mentor programs that already exist... or to neighborhoods where new programs need to be created. If interested in learning more, please look at one of Tutor/Mentor Institute's several strategy documents (accumulated from over 30 years of working knowledge) called, "How Faith Communities Can Lead Volunteer Mobilization For Tutor/Mentor Programs". And then contact us to discuss ways we can work together. Thank you, and a very Happy Hanukkah! R.I.P. Ashton Wise: Stop looking for the overnight solution. 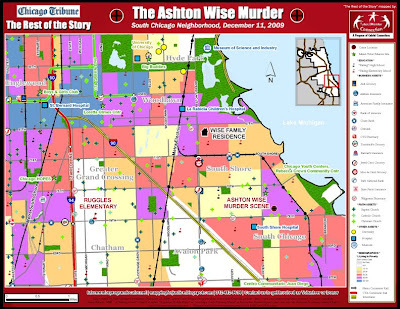 This past weekend, the Chicago Tribune and affiliates reported that sixth grader Ashton Wise and his father were shot with a shotgun while sitting in a parked car in the heavily impoverished South Shore neighborhood. Ashton was not involved in gangs. Instead, Ashton will be remembered as a star pitcher and catcher in the South Side Little League. His father (who survived) was "not an absentee father," Department of Children and Family Services Director Erwin McEwen (Ashton's baseball coach) said, "If a dad who's committed and with his kid every day can't keep his kid safe, don't tell me it's gang-related. It's community-related." Here's an example of the many families who are trying to live the American dream but are caught in the crosshairs of poverty. Similar to the outpouring of support we saw for mentoring as a long-term salve for poverty and teen violence this past fall from political leaders in the wake of the Derrion Albert murder, McEwen addressed reporters about teen violence and poverty in general, "We did not get into this situation overnight... Stop looking for the overnight solution." "I think we have to do things to strengthen our families." This push for "new anti-violence methods," echoes what Tutor/Mentor Connection has been urging citizens for years. Poverty, crime, strengthening communities... these are all complex issues that will take a lot of people working/thinking together in a lot different places over a long period of time to reverse. I hope McEwen, Garvey, and you buy into this reality and start now to help push the pendulum back. You and people in your network concerned with challenges related to poverty (crime, education, workforce development) can help take the lead to build more alliances aimed at attacking the "Core of the Problem." You will see high poverty neighborhoods on the south side of Chicago near the Wise residence and the crime scene (represented by increasingly deeper shades of red/blue as poverty increases). You will see many schools (including Ruggles Elementary, where Ashton had to travel miles to attend) that are struggling to help kids in poverty gain educations needed to compete in college and career. 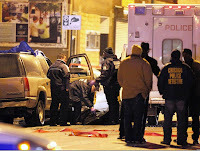 These are typically the places you find the hopelessness, frustration, and desperation that lead to gang-banging and teen violence. You will also see community assets on the map - such as churches, businesses, universities, hospitals, and museums. These are places packed with powerful individuals, with a visible presence in the community... places with open missions to support the community, and the power to build alliances (using their political and financial leverage and their reputation/visibility). Alliances and media buzz can then mobilize more dollars and volunteer interest in the name of mentor programs that aren't currently household names (and thus don't have the name recognition to easily challenge for large grants awards), and yet are actively working on small budgets, with small staffs, and in innovative ways, "to strengthen our families," as Erwin McEwen put it. Lastly, look again at those few green stars on the map. These are known tutor/mentor programs where YOU can make a difference on an individual level. But hey - time is short, right? If you don't have time to roll up your sleeves and work at the front lines of the war on poverty, you (or someone in your network) might help these non-profits with a tax deductible donation. * Political leaders can find tutor/mentor-building strategies here. Other information and more maps can be found here for your needs. 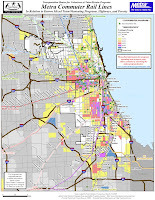 We also have strategies and maps available for your local alderman. * Faith leaders can support non-school programs in the community. There are examples and maps here to get started elsewhere on this blog. And here is an important strategy document called "How Faith Communities Can Lead Volunteer Mobilization For Tutor/Mentor Programs." * University leaders can ally on behalf of the safety and well-being of neighborhood kids. This is discussed here. * Bankers can look here for ideas and strategies toward workforce and economic development of neighborhoods through tutoring/mentoring. * Retailers like Walgreens and CVS in the map above can find ideas here. * Grocery Stores have a large stake in the pulse of the community. See how they can get involved here. * Hospital leaders from the several hospitals that show up on the map above can ally on behalf of tutoring/mentoring as well. Look here for reasons why. Look at this strategy document, called "Tutor/Mentor Hospital Connection" for details on how to get started. Mapping For Holiday Justice - A Small Fundraiser this Season of Giving! Money that will go toward our innovative maps - tools that have a direct impact on Chicago and beyond through support of mentor-to-career programs that fight poverty and help develop our workforce. Please consider a donation this holiday season to help kids help themselves now... so you don’t have to worry about them later! “Mapping for Justice deserves all the support it can get." We all need mentors and guides in our lives. Tutor/mentor programs pair working and successful adults with students who might not find the mentorship needed to pursue their dreams of college and career at home. Without these programs, the alternative for many students in high-poverty neighborhoods is the streets. You don’t have to look past the nightly news to see that our workforce is suffering and incidents of teen violence are high. Take action yourself, bypassing all the empty promises, by making a charitable gift this holiday season to Tutor/Mentor Connection (T/MC) maps. 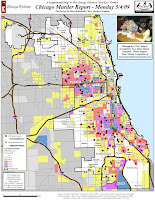 Our maps are tools that make an impact on society by helping community leadership - the generals in this war on poverty - come together quickly and efficiently to put T/MC strategies into motion, for more and improved tutor/mentor programs today. 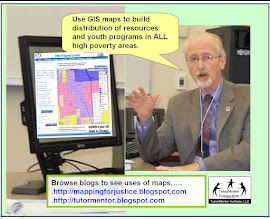 * How do T/MC programs and maps help kids in high poverty neighborhoods? For our country's future, we need to ensure that students everywhere are making wise, safe choices, while getting solid, competitive educations. Tutor/mentor programs put adults who have walked this path into the lives of frustrated students who might not be getting the best guidance from home, or the best education from public schools. 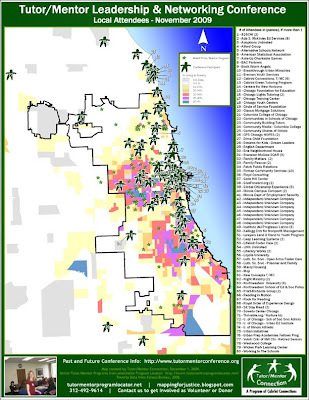 T/MC maps reveal neighborhoods where students are most at risk, and show where non-school tutor/mentor programs currently operate, or are needed. The resulting maps help students in high poverty neighborhoods come together with volunteers one-on-one every week, so that these adults can tutor students to better grades, while coaching them to make healthier decisions toward brighter futures. In the hands of community leaders, T/MC mapping technologies – including our new online interactive Google-based maps - are powerful tools that help political, business, faith-based and other community leaders ally in the name of this mission. * What can you do to help now? Create awareness – let everyone in your network know that we are here working to guide talented youth from the streets into positions where their natural curiosity, creativity, and desire to participate in the economy can make the world a safer and more productive place. Volunteer an hour or two each week, if you have time. And donate to programs like ours that help kids help themselves now... so you don’t have to worry about them later! Tutor/Mentor Connection, Cabrini Connections is a 501 (c) (3) tax-exempt non-profit. Our tax ID # is 36-3893431. November Conference Brings Leaders Together - Who Will Put The Maps To Use? 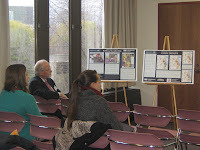 All together the event drew 156 people to its workshops. ... like, of course MAPS! I got a chance to showcase my maps, coach others in the usefulness of our mapping innovations, and most importantly, I got to meet potential users face to face and brainstorm about ways our maps might help leadership visualize and take action for their own tutoring/mentoring needs. When I asked this past fall, when politicians came out verbally, in support of mentoring as a way to address our teen violence problem, "Who Will Tell Government We Have The Tools They Need?!" ... it was a call to action for people who want to help us expedite the time-constricted process of making/maintaining the tools, while ALSO getting the word out to busy people who don't know the tools exist, but are otherwise in a position to make use of them. We can only do so much alone. We don't know everyone. We are always in pursuit of that magic moment when someone thinks "Whoa... I know [person in position of power who can really use their political or financial influence to connect these map tools and strategies to others with the power to put the strategies in motion]!" So maybe one of participants who came from the Chicago area walked away with an idea about who in their network would be able to help us connect our strategies and technologies to local leaders who have the power to make a huge difference. But when we talk about the big picture, we're talking nationally as well. Chicago isn't the only place with problems related to poverty. There are students everywhere who would benefit from additional tutoring/mentoring. Thankfully, people from outside the Chicago area attend the conferences as well. The answer is always pretty much the same: It is indeed our goal to help programs grow in every community they are needed. But again, we can only do so much and we don't know everyone. Hopefully contacts like this woman from New Orleans will be the missing conduit that connects necessary resources and leadership in her back yard to our model, tools, and strategies. But others need to step up. 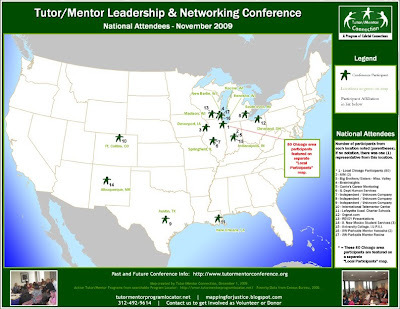 Please consider being a part of May 2010's Tutor/Mentor Leadership and Networking Conference ... and meantime, please think about who in your network has the means to connect our tools to politically and financially powerful people.